Observers of the Costa Rican coffee market got a jolt this week when the Costa Rican Coffee Institute (ICAFE) released figures amounting to a 20 percent drop in coffee exports between January and the same month last year. Costa Rican coffee exports are down 19 percent to date during the current 2015-2016 season compared with the same period last year, starting in October. But just because exports are down doesn’t mean Costa Rican farmers aren’t enjoying high prices. The value of Costa Rican coffee exports increased 11 percent — an additional $30 million — during 2015 compared to 2014, according to a year-end report from the Foreign Trade Promotion Office. So exports are down but farmers and exporters are still making more? What’s going on? ICAFE President Ronald Peters told The Tico Times that several factors are at play but the most important is coffee futures. While international prices for coffee are relatively low at the moment — roughly $1.20/lb — growers in 2015 benefited from coffee futures negotiated in 2014 or before that paid $1.85/lb on average for Costa Rican coffee. Peters said that the prices were welcome, since the last several years have been difficult for producers between the lingering effects of the coffee fungus roya and low prices. “We need to take advantage of these jumps [in price] when we can,” Peters said. 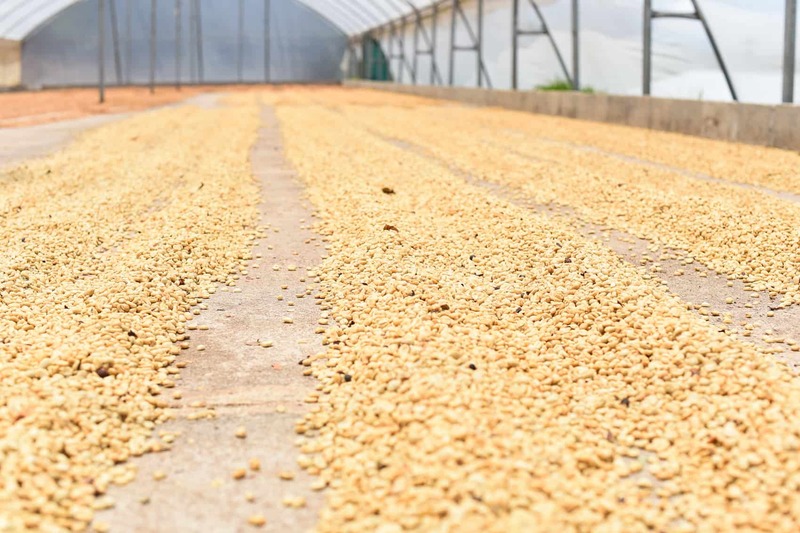 The ICAFE president said that even if futures sold this year aren’t as competitive as those from the last two proved to be, hopefully production will be able to rebound enough to make up the difference in lower prices. As the controls for roya improve, production has started to recover. Peters said that ICAFE forecast that the 2015-2016 harvest in Costa Rica will grow between 3 and 5 percent to more than 2 million 46-kg sacks of processed coffee over the 2014-2015 season. And the 2014-2015 season grew by 4.5 percent over the season before that. Exports might have been down 20 percent in January but Peters brushed it off as a fluke, saying that it could have to do with the pace of the harvest or other factors on the ground. He said that the export figures could even out over the next several months as the larger harvest makes its way to market.